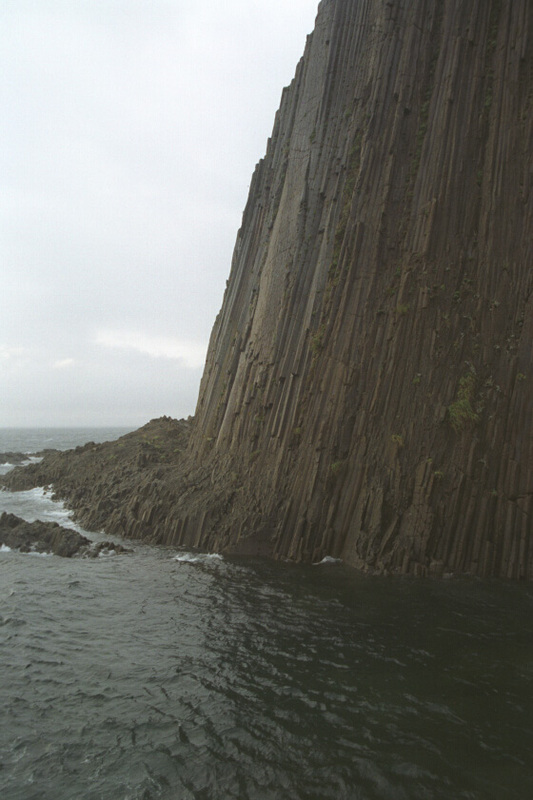 This is “The Tube Cape” and island in Russia where strange formations of stone were found. 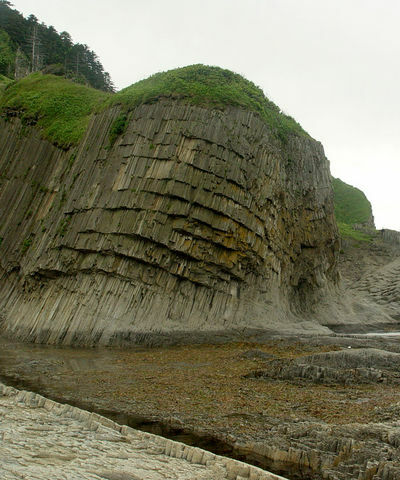 Traditional geologists think that it might be lava structures, but locals who live nearby, and many visitors who come here from different parts of Russia doubt this and call them man made, probably belonging to some unknown people who lived here in prehistoric times. Some new-agers even suppose that this structures were used by some technologically advanced civilization that existed on the Earth at the age before the Bible flood. You said “tube”. That was cool. Absolutely magnificent! Does anyone know where this island is? 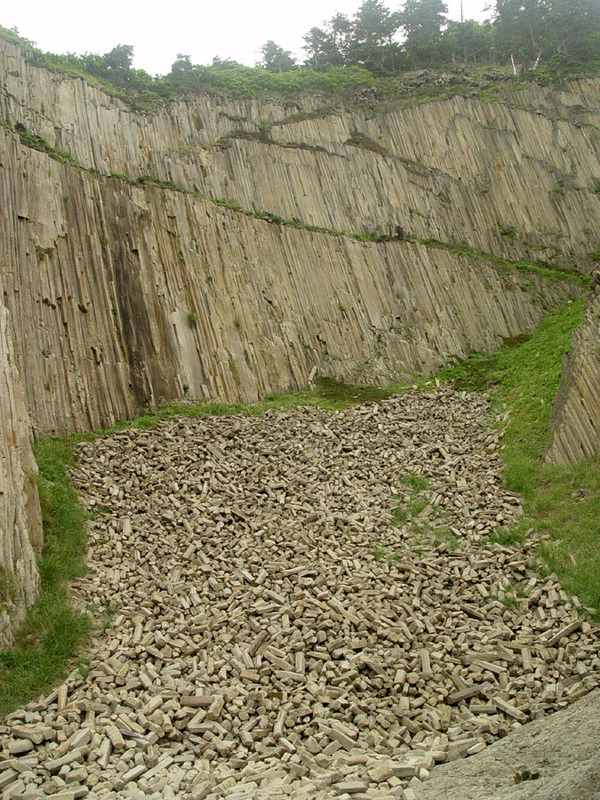 Simular rock-formation can be found in Czech-rep. It is located near the road between Decin and Liberec. this is certainly not man-made – very likely to be of vulcanic origin. 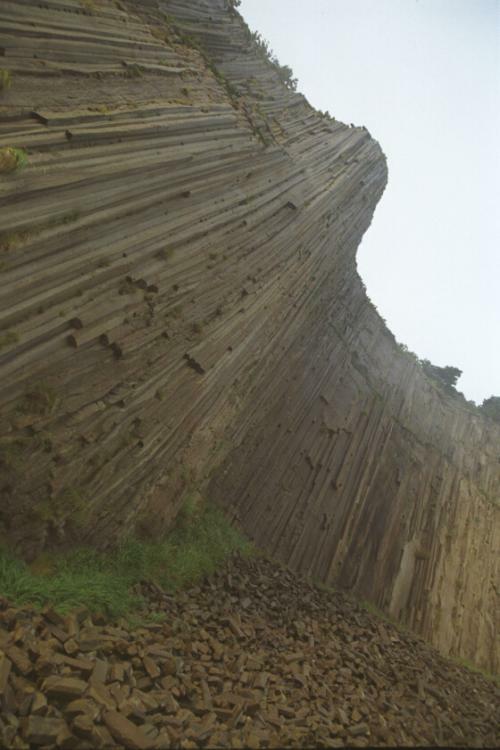 there is a similar landscape in ireland: giants causeway. as you don’t mention it in the text: where is that island in russia? 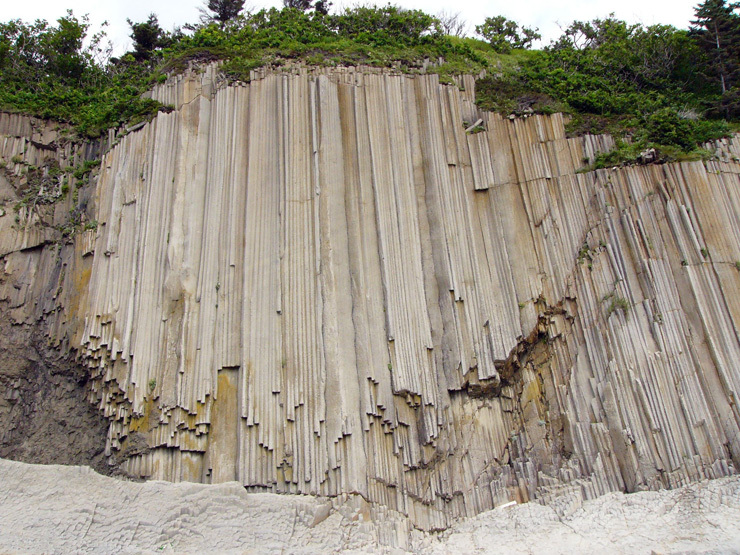 It’s called “columnar jointing”, a well-know and documented geologic phenomenon. Plenty of that all over the planet. 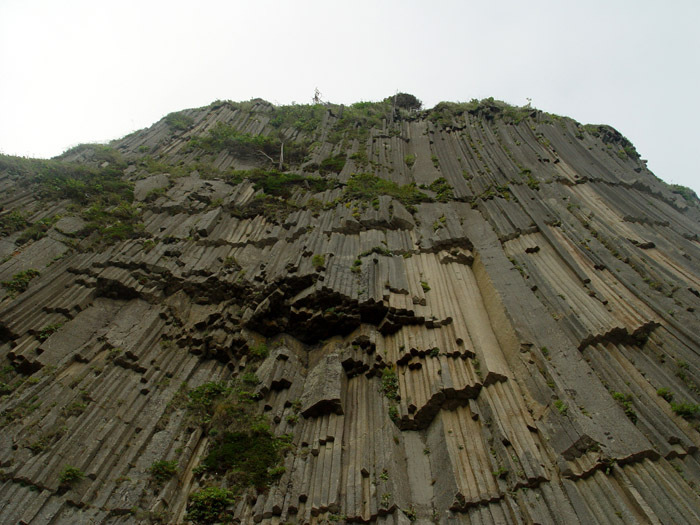 Having some knowledge in geology, the strange rock formations are definitely basalt columns which resulted from cooling lava. 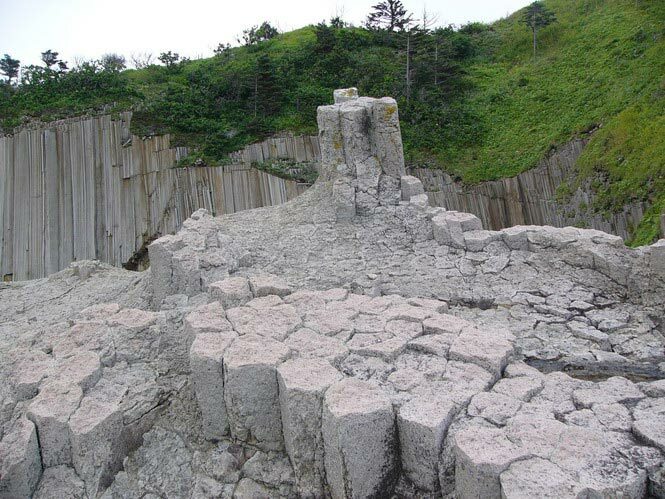 Same formations can be found in the Giant’s Causeway in N. Ireland and the Devil’s Tower in Wyoming. These photos are excellent examples. 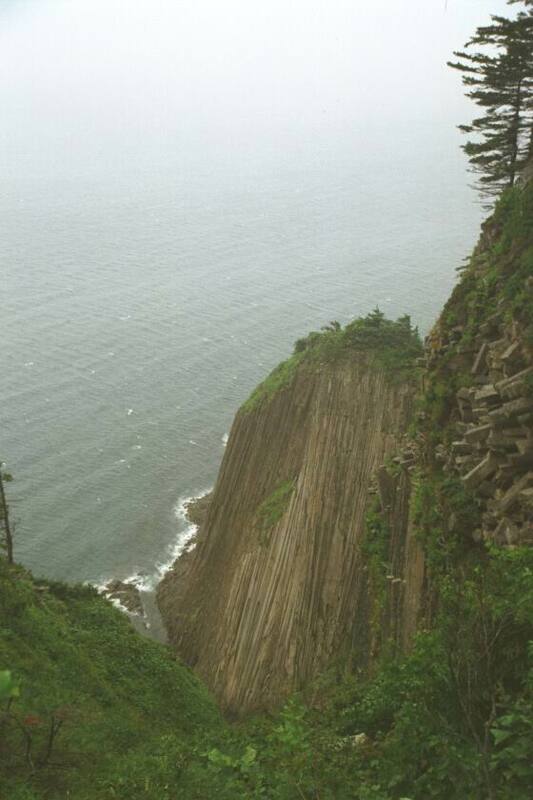 Are these photos near Lake Baikal? This region should be a protected area in form of a National Park. and its long been known what creates these, the local yokals need to buck up and get on the science train. 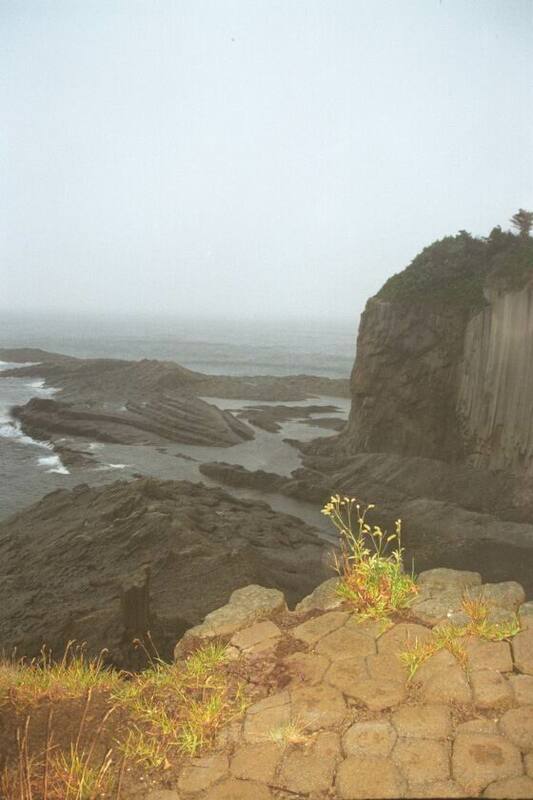 The photos are from the island of Kunashir in the Kuril Island chain. 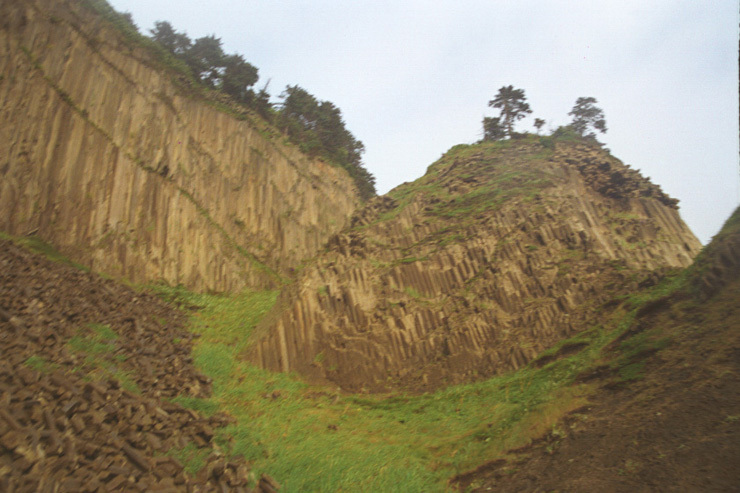 It is protected as part of the Kurilsky Zapovednik or Kurils Nature Preserve. 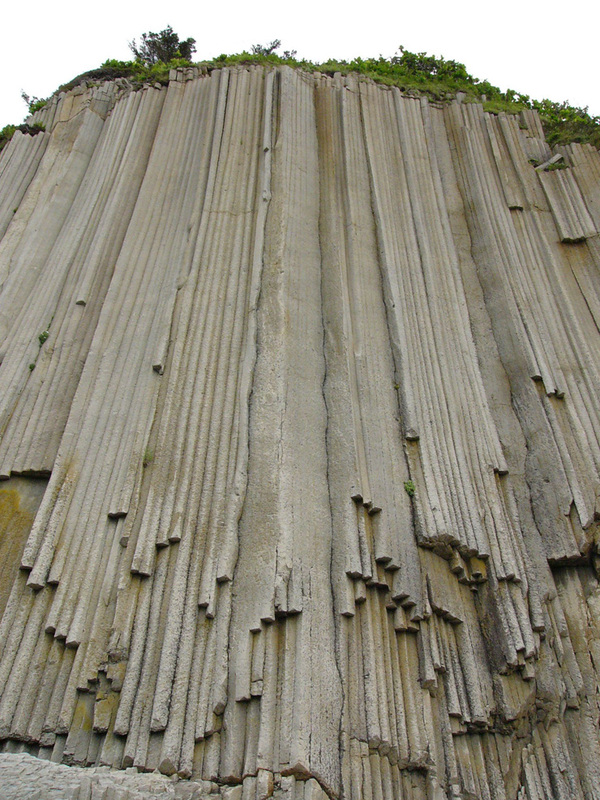 This is a striking example of columnar basalt formed from an intrusive mass of molten lava. 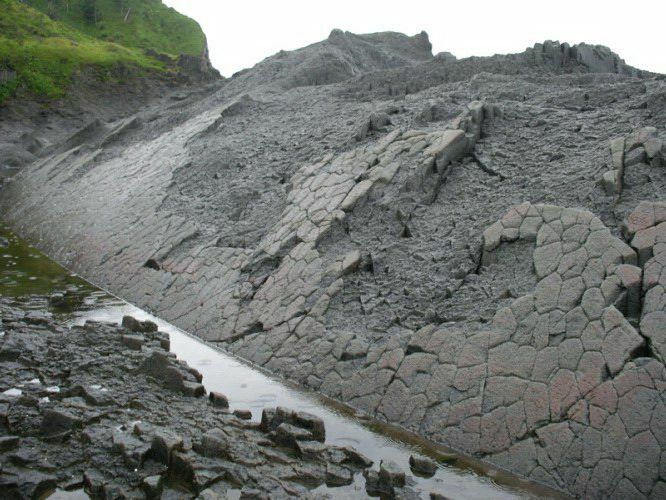 The intrusion did not reach the surface and cools slowly, resulting in basically crystalline lava. 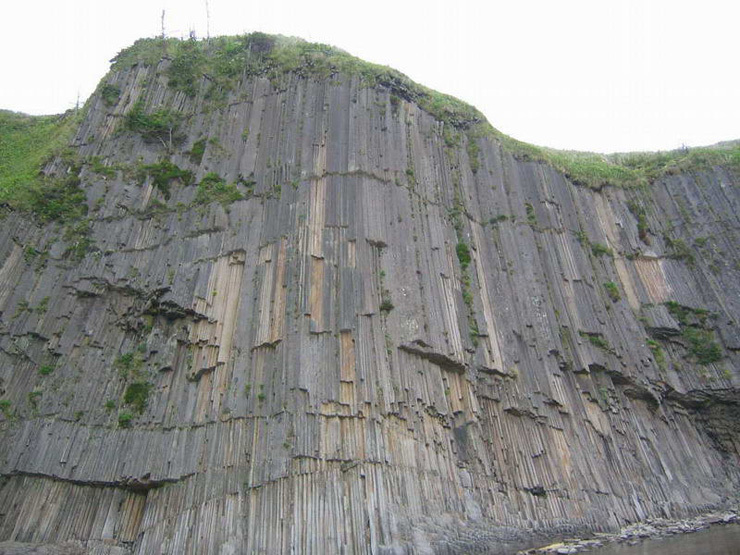 Its just like Columnar and giants causeway. alot of those can be found, it is simply difficult to find them above ground, only where faults or land juttings have put thm to air. Great for brick if you can get it cut, haha, or simply collect it from the ground there. But its very natural. nothing mysterious at all, but still very pretty. Kaulad is correct, we have the same thing in America, eastern Washington state. Ours are much bigger though, I wonder why? That is an awesome place! Great pictures. We have a few of these here in Australia too 🙂 Not quite as impressive as this! Isn’t there any in Easter Europe ? very cool. aye I’ve been to devil’s tower on wyoming / south Dakota border, as seen in the movie “close encounters of the third kind”. this has a similar look. 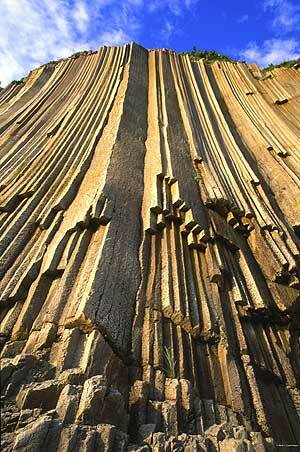 No question about it: those are basalt columns, and one of the most impressive examples I’ve ever seen. They form when you get an upwelling of basaltic lava underground that doesn’t break the surface. 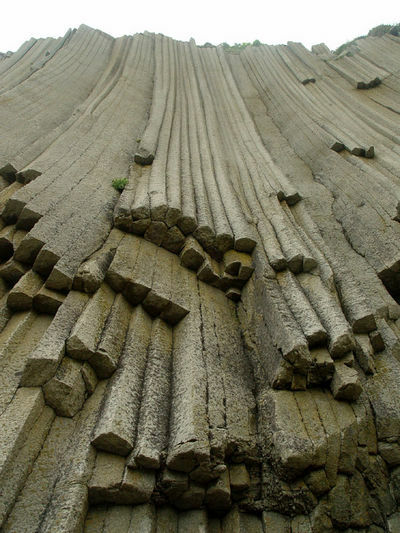 Since the molten rock is insulated and has a long slow time to cool, it crystallizes into these long multi-sided columns. 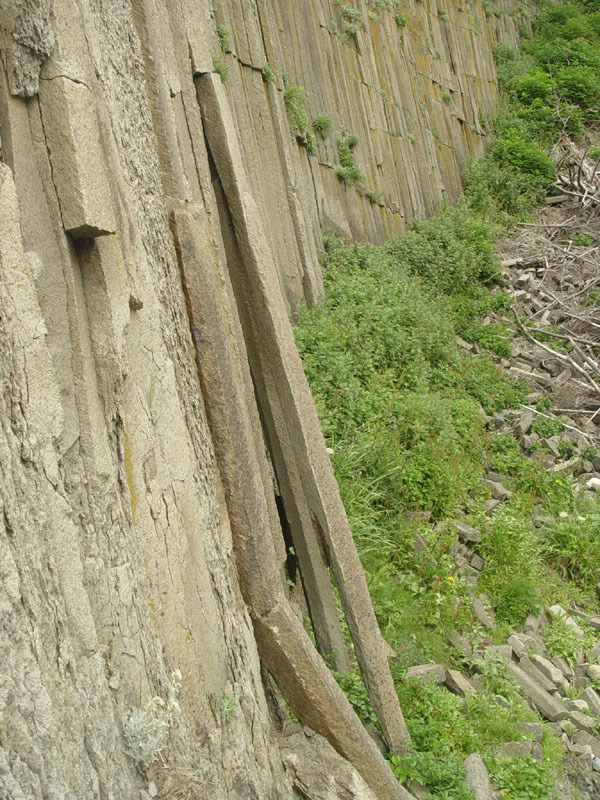 When the ground above the formation wears away, the columns are revealed. Island Kunašir, South Kurilis islands. Have been there. coach outlet will be the location wherever you can fulfill this of the desires. coach outlets are Coaches method to market overstock handbags that they had been not ready to sell to retail department shops. coach outlet sells products which are exclusive for outlet retailers. coach outlets are giving large savings to their consumers. coach outlet store is everywhere,particularly in bustling metropolis. coach outlet generally bring all the collections but at significant rates.